[Update 1:55 p.m.] Kevin Clash has issued a statement saying,"I am a gay man. I have never been ashamed of this or tried to hide it, but felt it was a personal and private matter. I had a relationship with the accuser. It was between two consenting adults and I am deeply saddened that he is trying to characterize it as something other than what it was. I am taking a break from Sesame Workshop to deal with this false and defamatory allegation." [Posted 12:23 p.m.] The puppeteer who voices Elmo - one of the most adored children's characters in the world - is taking time off from Sesame Street after denying he had an inappropriate relationship with a teenage boy. 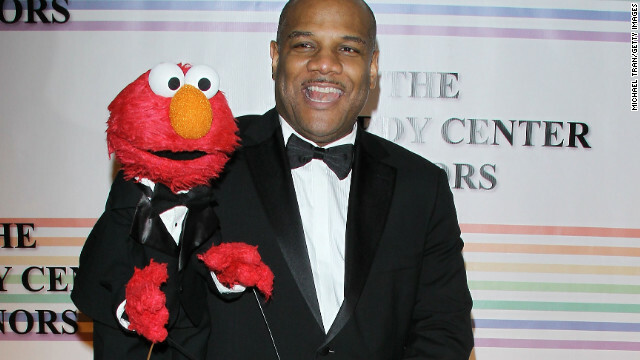 Sesame Street Workshop says it found the allegation against Kevin Clash "unsubstantiated," and granted him leave as he takes "actions to protect his reputation." In June, the workshop heard from a 23-year-old man who claimed that he had "a relationship" with Clash beginning when he was 16 years old, the workshop said in a written statement. The statement did not use the word "sexual." "We took the allegation very seriously and took immediate action. We met with the accuser twice and had repeated communications with him. We met with Kevin, who denied the accusation. We also conducted a thorough investigation and found the allegation of underage conduct to be unsubstantiated. Although this was a personal relationship unrelated to the workplace, our investigation did reveal that Kevin exercised poor judgment and violated company policy regarding internet usage and he was disciplined," the Sesame Street Workshop statement said. "Kevin insists that the allegation of underage conduct is false and defamatory and he is taking actions to protect his reputation. We have granted him a leave of absence to do so. A representative for Clash had no immediate comment Monday. TMZ reported that Clash said his relationship with the accuser "was between two consenting adults and I am deeply saddened that he is trying to make it into something it was not." A law firm reported to be representing the accuser had no immediate comment. Last year, Clash spoke to CNN about the magic of Elmo, a "mirror image" for kids. Clash, 52, is widely beloved as the high-pitched voice of the iconic furry red Elmo, whom he's been playing since 1984 - and won Emmy Awards along the way. He was the third Muppeteer to take on the role. Clash is also Sesame Street's senior Muppet coordinator and Muppet captain, the Sesame Street Workshop says on its website. A documentary, Being Elmo, focused on his story. Clash also once spoke with NYC Dads, an initiative of New York Mayor Michael Bloomberg, about how he worked to spend time with his daughter who lives with his ex-wife outside of Baltimore. Filed under: TV • U.S. This incident gives a whole new meaning to the phrase: "Tickle Me Elmo." Oh my goodness! Impressive article dude! Many thanks, However I am encountering troubles with your RSS. I don’t understand why I can't join it. Is there anyone else having similar RSS issues? Anyone that knows the answer will you kindly respond? Thanks!! I'm sorry but...ick...no more sesame street or elmo for our family. He can be guhay as he wanna be and marry some other guy in a number of states but I'm not interested in engendering confusion on gender issues for my children. No gender time bombs in their little minds. Sesame street has been going downhill for a long time and this is just another nail in their coffin far as I'm concerned. Better to bail before ernie and bert get married and big bird starts going both ways. What gender confusion? These two biological males don't seem to be claiming to be anything but male. Yes, Steve, Sesame Street has become very politically correct and reflects an uber-liberal agenda. Sometimes it is head-shakingly and downright foolish - like the singer who tells a dozen children to stand up and reach for the sky, but one of the children is in a wheelchair. What a shame that we have to screen Sesame Street for our children. Do you think CNN could report that the accuser has recanted? Romney may have been onto something. It's really a great and helpful piece of information. I'm satisfied that you simply shared this useful information with us. Please stay us informed like this. Thanks for sharing. You are truly a good webmaster. The site loading velocity is incredible. It kind of feels that you are doing any distinctive trick. Furthermore, The contents are masterpiece. you have done a magnificent activity in this topic!